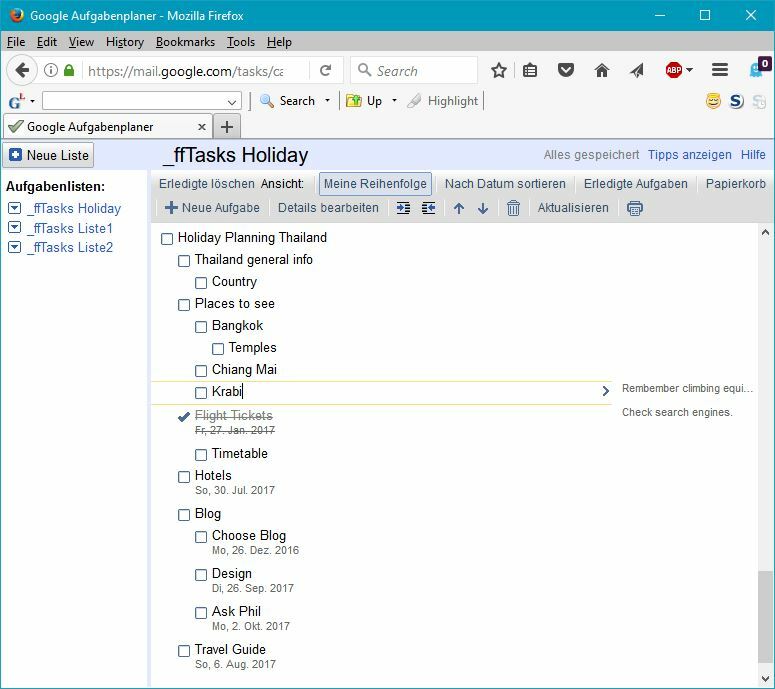 Outliner (PRO only) is able to sync with Google Tasks. 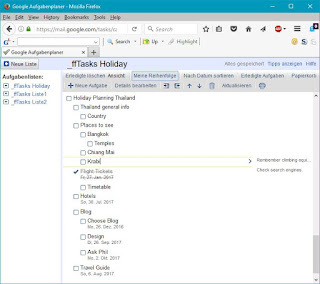 Within Google calendar (the browser version) you can also show your tasks in the side panel right of the calendar. Please keep in mind, that Google's implementation of Tasks only supports 2 levels. A task and a subtask. You can create several task lists (like "Outlines" in Outliner) with tasks (like "Activities" in Outliner). In Outliner's "Settings, Synchronization" check "Sync With Google Tasks". 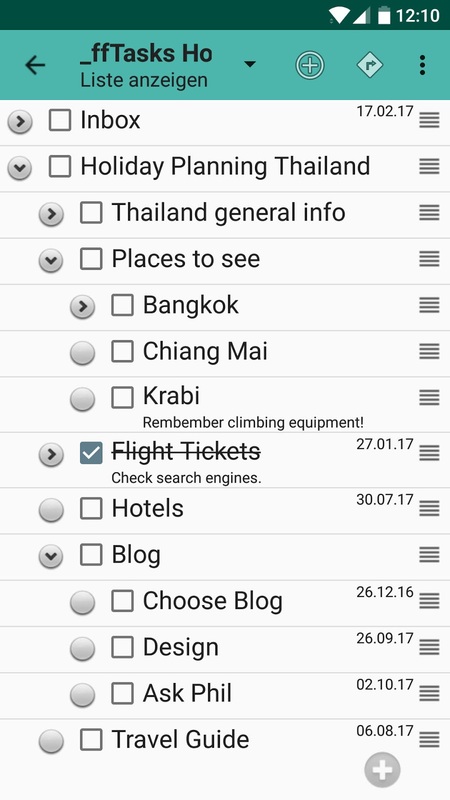 Outliner asks for your Google account and for the permission to access your Google Tasks. After leaving the Settings, you will see your Google Tasks lists in the list of Outlines. The synced Outlines have a small indication icon at the right. Detailed information how to add new synced Outlines and how to change local Outlines to synced ones is found in the Tutorial. Recently Google launched it's own Tasks App for Android. It's great, but it restricts the number of levels to 2. Opening an Outline with more than 2 levels flattens the Outline. Every activity in deeper levels goes to level 2. So the structure of a complex Outline is destroyed. Google warns you before the flattening process. 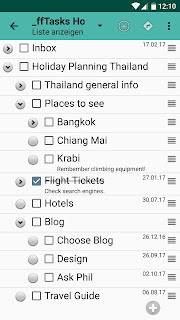 If you are fine with only two levels, you can use Google's App together with Outliner. You may want to get notified, if the due date of an activity which is not yet finished is reached. Via "Settings, Notification Policy" you can choose, if you want to get notified about activities due today or also about activities due in the past or if you don't want any notification at all. Notifications only work with Outliner's PRO version. More information in the Tutorial.